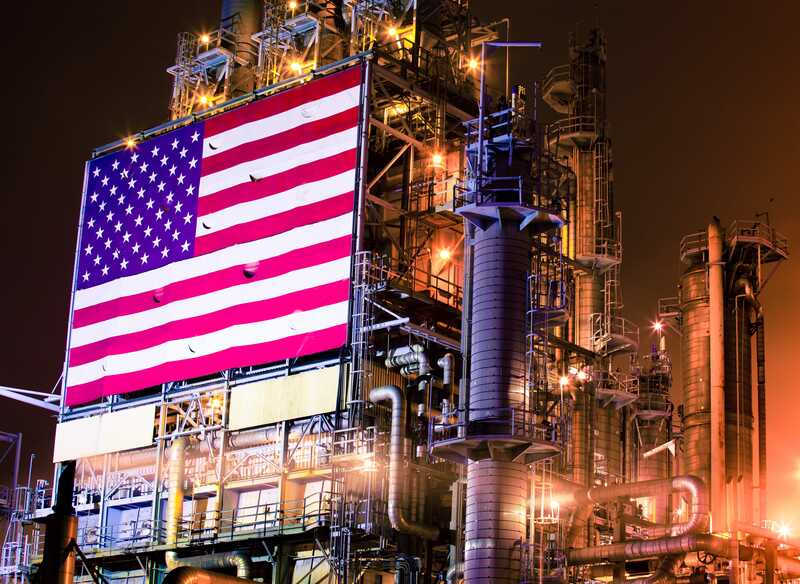 Getty ImagesAn American flag hangs on the side of a Southern oil refinery. West Texas Intermediate, the US benchmark, fell more than 3% to below $US70 a barrel. Brent was trading at around $US80 per barrel, down about 2% for the session and more than 6% this week. 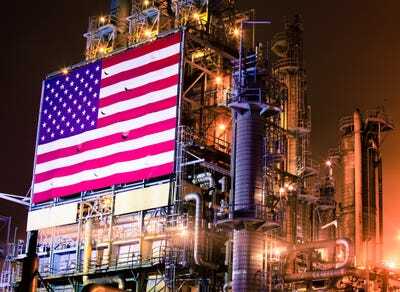 Marking the highest buildup in nearly four months, the Energy Information Administration said stockpiles of crude oil in the US rose by 6.5 million barrels last week to more than 416 million barrels. That was more than twice the amount of buildup than analysts had forecast. “But crude stocks have been building for some weeks and should soon start to exert some downward pressure on prices,” she added. “Although the current market conditions favour higher oil prices, global trade tensions still remain a threat to oil bulls down the road,” Lukman Otunuga, a research analyst at FXTM, wrote in an email.